It is a matter of fact that many of the games we play contain violence in some form. Rarely do we ever stop to think about this, since this violence usually comes with no strings attached. You kill people because they are the bad guys, and most games do not try to flip this notion upside down or bestow any great weight upon our actions (or maybe we are all just desensitized, take your pick). Every so often, I do find myself taken aback by something I witness in a game, which creates the potential for some rich discussion. 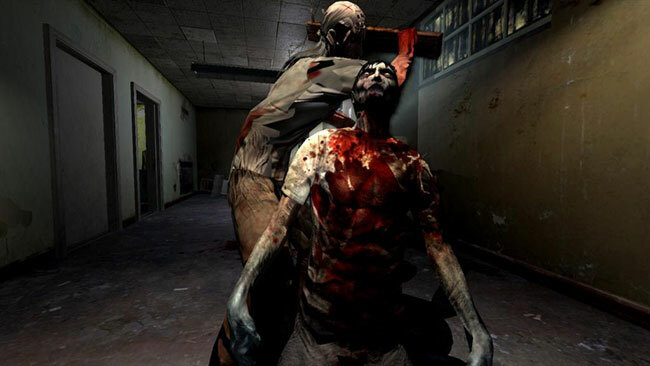 This time the scene came from Condemned: Criminal Origins. During the first chapter, as I wailed on doped-up vagrants with pipes and rebar, I noticed that something kept flashing in the corner of the heads up display, which hinted that there are special actions mapped to the D-Pad for use on disabled enemies. Unfortunately, they kept getting up (or getting dead) before I could read what these options were. I thought I saw the word “arrest,” but couldn’t be certain. The next time I got a foe on the ground, I decided I would mash the D-Pad and see what happens. My character knelt down and grabbed my enemy’s head between his hands. All the debate about the Uncanny Valley and emotion in 3d models vanished. The face of that man was tired, confused, and perhaps a little bit afraid, the result of being high, poor, and just having been beaten with a blunt object. His neck was snapped quickly and cleanly. Here was a homeless, drugged up vagrant with no value to society. Yet my character is an FBI agent. I can’t say I am an expert in matters of the law, but I’m pretty sure even federal agents don’t just get to kill perps that are not armed and very much in a position to be arrested. I have snapped many a neck in the virtual world, but for some reason seeing it done in a situation that does not call for it, by a character without a license to kill makes for a heaping helping of cognitive dissonance. There are a whole lot of deep psychological and cultural issues that this situation brings to light – why is it that society is more sensitive to the deaths of certain individuals than they are to, say, soldiers? But that topic is a bit too big for this post, so for now I simply wish to bring it up. For the time being, I at least can continue on without snapping necks, and I may even be able to avoid killing some enemies. I have some choice here, and I should be able to get over it. Unfortunately, the game’s storyline makes your character’s early brutality harder to swallow. Condemned’s story is a mish mash of serial killers, crime drama, and CSI that is so telegraphed you can guess what will happen six weeks before it does. In Chapter 2 your character is framed for murders and forced to clear his name while avoiding the FBI (if you consider that a major spoiler, you need to watch more crappy crime fiction). For almost the entire game you are against the law, not with it, and fighting crackheads and other nasties becomes a matter of survival. In this context the finishing moves make a bit more sense; once you are an outlaw your desperation forces you to resort to killing your enemies. 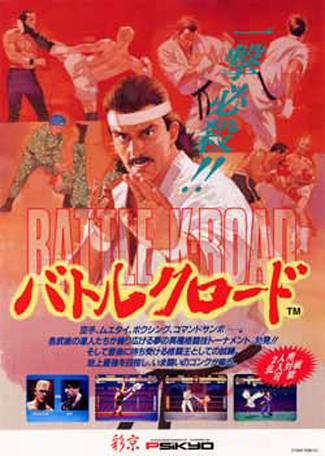 However, since these moves are a major control feature, they remain in the game’s opening scenes, as sort of “reverse artifact.” We often see situations like this, where the control scheme for a game is inappropriate in certain contexts, but remains intact because it would be too much work to alter for the sake of a few situations. I get that, and understand the practicality of this approach. On the other hand, when you start making games with great cinematic aspirations, and present them as “an original concept” during the opening credits, you are putting on the airs of being something greater than “just a game.” Great filmmakers and artists will go the extra distance to avoid compromising their vision, and if Condemned is intended to be a great artistic vision, letting something as simple as the control scheme screw up the motives and development of your lead character completely shatters your integrity. If you will not go to such lengths, then make sure your story and gameplay match your simplicity. This is not an insult: I would be much more willing to play it that way. Stop telling me that games are art, and start ignoring accountants and treat game stories and the mechanics that support them with the respect and time it would take to make them worthy of our attention. Otherwise just give me Gradius and quit the obsession with art and auteurs.